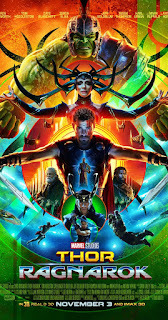 Thor’s home is threatened by the fire demon Surtur who promises to bring a time of destruction; meanwhile, the universe is threatened by the release of Hela, a long-imprisoned goddess intent on ruling all worlds. Thor and his trickster brother Loki form a tentative alliance to work against Hela and save their home world. Loki is the adopted son of Odin, Thor’s father; Thor and Loki are adoptive brothers, and their relationship is often contentious. When Thor returns home, he finds that Odin is missing, and Loki has fooled his father’s subjects by disguising himself as Odin and convincing his subjects that Loki died nobly. Odin reveals that he is dying, and his death will cause the release of his daughter Hela. Loki and Thor had not previously known that they had a sister; Hela was banished from her home and written out of her homeland’s history because of her ambitions of dominating others. In order to save his people, Thor must ultimately choose to allow the destruction of his home. He realizes that the people are what defines his home, rather than the location. Bruce Banner is locked into the “Hulk” mode – in a way, his anger keeps him safe, but he has not been able to return to normal, and it takes hearing the voice of a loving friend to return to his normal self. 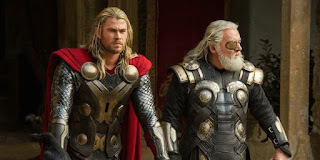 Thor inherits his father’s throne, and it appears that he will rule with wisdom and bravery. 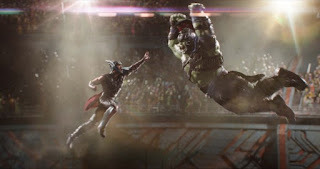 In spite of the contentiousness of their relationship, Thor and Loki do work together, and it seems likely that their fraternal relationship will continue. Loki and Thor have a contentious relationship. Each has desired the throne. Now they must work together to fight against a sister that they never knew they had. Loki and Thor betray each other at various points of their journey. Odin dies, which could be hard for viewers who have lost a parent. Hela is the goddess of death, and she slaughters many. Thor’s home world does end in fire. 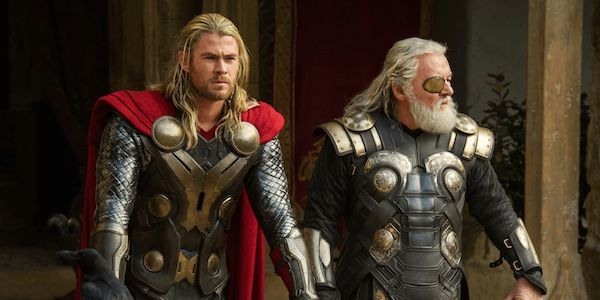 Thor and Loki appear to decide that their relationship should end now that their father has died. This one should be OK for most teens and adults, although parents should still check in with their teens about the conversation between Thor and Loki. Why did Odin keep Hela a secret from Thor and Loki? What would have been different had he told his sons about her? After Odin dies, why are Loki and Thor still brothers? What makes someone a part of your family? What makes a place your home?